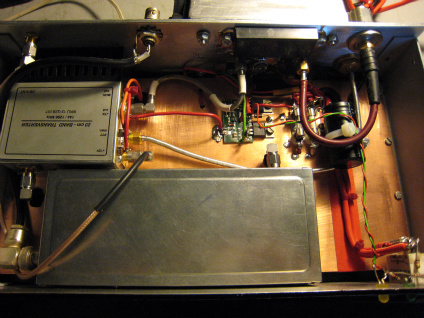 My new 1296MHz transverter,DB6NT. With Mitsubishu RA18H1213G powerbloc. and build in 96MHz PLL oscillator. 1MHz reference signal. Lock to a Rubidium Normal. I am on the frequency now.